Highlights : Watch the historical monuments, such as Qutab Minar, Humayun's Tomb, Old Fort, Red Fort and Jama Masjid at the National Capital of India, Delhi. Game viewing at beautiful Pench National Park. Enjoy Elephant Safari / Jeep Safari. See wild habitants like Leopard Cat, Small Indian Civet and Palm Civet, Jackal, Wild Dog, Gaur, Sloth Bear and Chinkara, Jungle Cat, Cheetal and Nilgai. Avail the special Tiger spotting program. Enjoy morning walk in the park and see hundreds of species of birds. Activities : Bird watching, Nature walk, Game viewing, Elephant safari / Jeep safari, Tiger spotting. Located in the Southern border of Madhya Pradesh, Pench National Park is very beautiful place to give you a great getaway. Aravali, Vindhyanchal, Satpura and Maikal (AVSM) ranges of forest make this National Park a very sought after destination to enjoy small vacation in stark peaceness. Our 5 day's tour deal will let you dwell here, and explore its natural beauty and wildlife richness. Along with visit to this park, you will also be exploring the National Capital of India, Delhi, one of the most historically important city of India. The hotels will be booked in advance which will be according to what you have specified to you at the time of booking. Accommodation in comfortable tents, and buffet meals will be provided by us. Programs and subject are subject to change. The tour commences as you land in Delhi in the evening of first day of your tour. After checking into the hotel, you can walk to the shopping streets of famous Cannught Place. The colourful and scintillating streets will make you end up buying few jewelry and textiles stuff. The Delhi tour will heighten next day (2nd day) when you will be out taking sightseeing tour of Delhi. Roaming through Lutyen's building and seeing other important landmark of the city like India Gate, Parliament, President House and Birla Temple, you will see the new city of Delhi. But the biggest attraction of the city is its historical monuments like Qutab Minar, Humayun's Tomb, Old Fort, Red Fort and Jama Masjid. We will visit these monuments without lingering here longer as we have to depart the city soon. 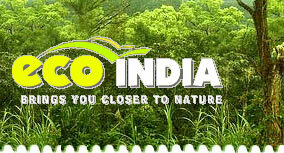 In order to reach to Pench National Park, next morning (3rd day), you will be flying to Nagpur through domestic airways. A two hour drive will take you to the Pench National Park. Arriving at the National Park afternoon, you will check into a wildlife resort. We will arrange a Jeep safari tour in the evening which will give you deeper understanding of the wildlife milieu. Besides, evening walk in the forest will please you with the viewing of Langoor, found in abundance and pervading everywhere in the park. You can even see Elephant's flocking taking evening bath and frisking in nearby lakes. The amazement of seeing wildlife will continue even next day, 4th day, when you will be on full day Game Viewing of the park. Our wildlife expert tour guide will be with you giving you better insight of the forest and its flora and fauna. The Elephant Safari which we have arranged for you to explore the forest will be full of wonder as you keep passing through exquisite landscapes of the forest. You will see here some of its wild animals like Jungle Cat, Cheetal and Nilgai roaming freely. Other animals that you can spot here are Leopard Cat, Small Indian Civet and Palm Civet, Jackal, Wild Dog, Gaur, Sloth Bear and Chinkara. Though, the park is home to more than 50 Tigers, you will have to toil to see its grand view. 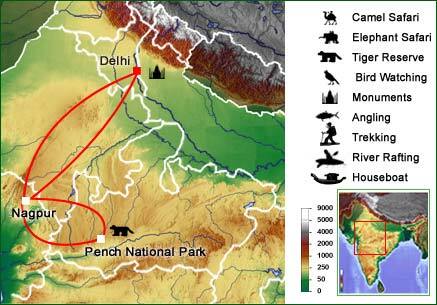 If you wish, we can go for a special Tiger spotting trail which will take you to explore Tigers in its natural habitat. 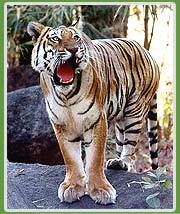 A morning walk (on 5th day) in the park will bring an end to your wildlife exploration of Pench. The morning will give you see hundreds of varieties of birds of its more than 200 species of birds which it proud to nestle. After you return to wildlife resort, you will drive to Nagpur in order to fly to Delhi. At Delhi, we will leave you at International airport where you will board your flight moving forth to your onward destination.